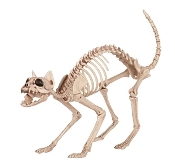 This skeleton may have come directly from area 51! 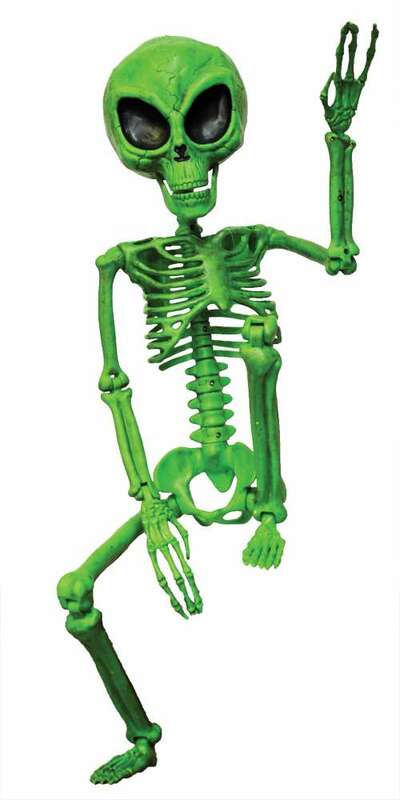 This Alien Green Skeleton is about 37'' tall. Made of a light weight plastic with movable parts, and string attached for easy display.